Warsaw is the capital and largest city of Poland. Warsaw is an Alpha– global city, a major international tourist destination and an important economic hub in Central Europe. It is also known as the "phoenix city" because it has survived so many wars throughout its history. As of 2012, Warsaw was ranked the 6th largest city of the European Union, and belonged to a list of top 100 cities termed "best in terms of quality of living"
Warsaw City Hall encompasses 18 districts that are located in the area of 517 km, which supports 1.8 million residents. The office employs close to 7500 employees. 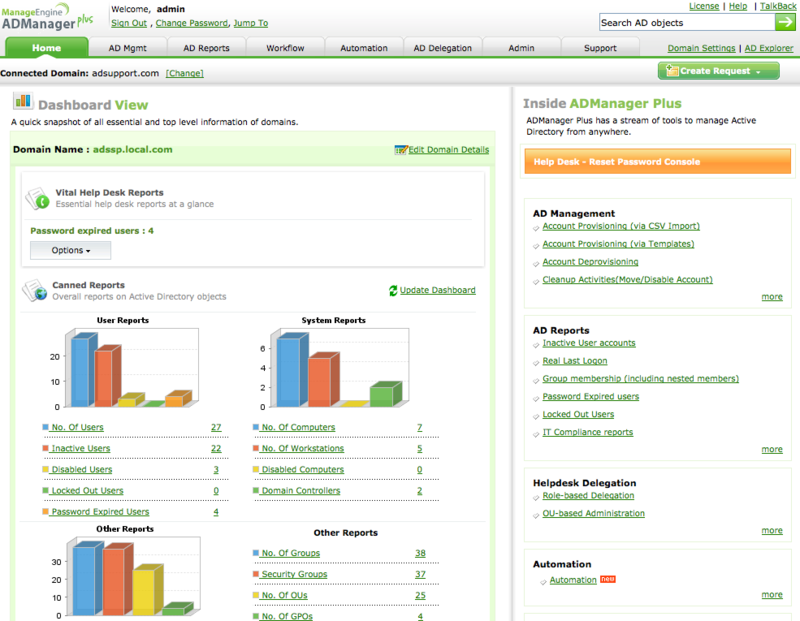 ADManager Plus is easy-to-use, fully accessible from your browser and a cost-effective tool for managing AD. The application allowed us to effectively and quickly maintain the integrity of the AD. The reporting module provides us with valuable information concerning you in our organization. The office has its own infrastructure, which consists of 270 servers including 20 domain controllers. It consists of 18 organizational units (districts). The infrastructure is managed by 5 server administrators, 4 network administrators, and 40 AD employee resource managers. The domain has over 4,500 active user accounts. Environmental management of AD’s complex structure posed a huge challenge to the IT team. Tasks such as unlocking accounts, reset passwords of AD user accounts, took up a considerable part of their time. This situation prevented implementation of advanced administrative tasks and limited the growth of the organization. To solve this problem, organizational changes were implemented, combined with implementation of tools supporting new division of tasks. Full implementation of the solution took around two months, most of the time in AD selfservicePlus and that’s mainly because, it had not been Polonized at the time of implementation. But we approached it as an advantage we did the translation on our own and customized it exactly to suit our office terminology. Translation and adaptation of applications took the administrators couple of days, allowing the solution to match user expectations. 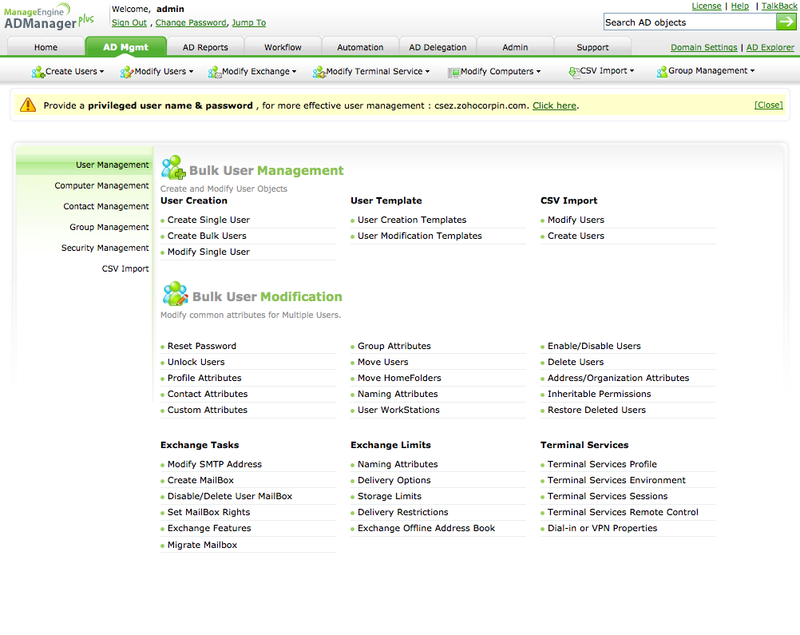 We used the ADManager Plus tool to manage Active Directory domains. In a simple and convenient way we created five roles for delegating powers to 49 professionals overseeing 18 units, to make it easier and faster. Achieved complete control over the powers and delegation of tasks at the employees bureau of information. Adminis- trators can delegate the power to create accounts for people outside the IT Department, including staff, and provide a single standard for all accounts created on the domain and to avoid confusion using defined templates. As a result of the new distribution of roles helpdesk specialists have obtained permission to change passwords and unlock user accounts. These changes, designed for advanced administrative projects have allowed the organization to save 20% of the time. 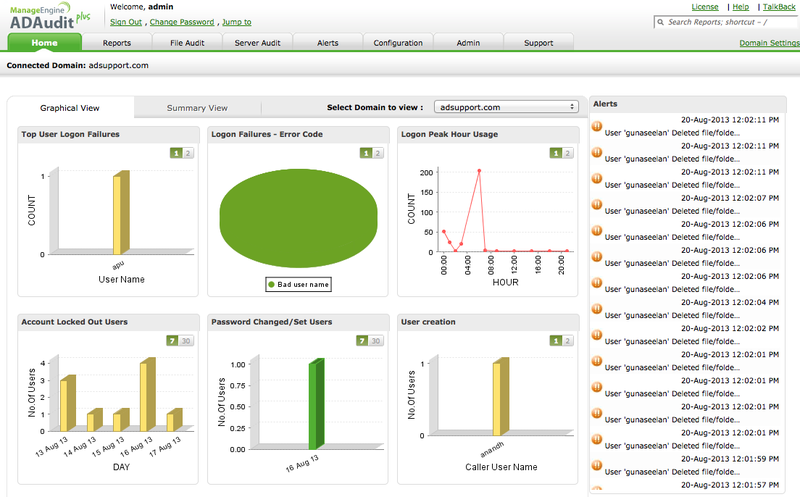 We used ADAudit Plus to monitor changes in a domain environment. It helped set up notifications about changes in key safety groups and make control changes in administrative units. 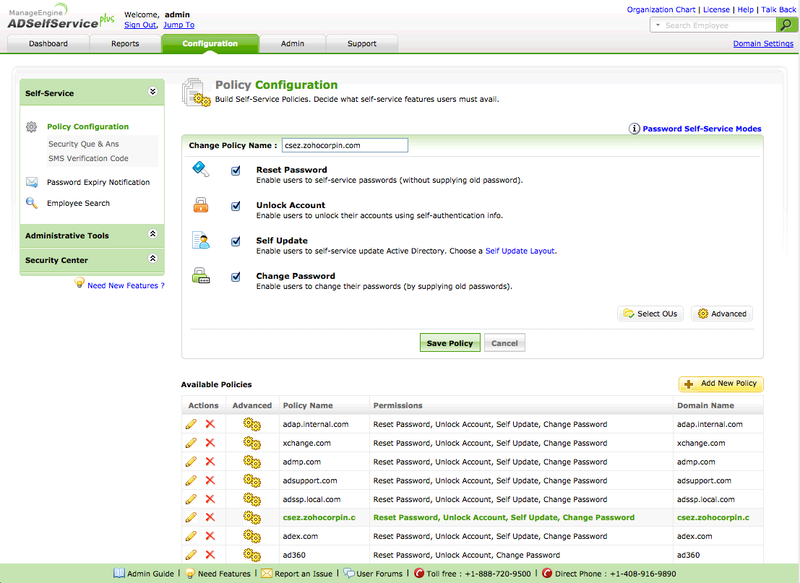 "Now, as soon as you change the group the Domain Admins are notified. 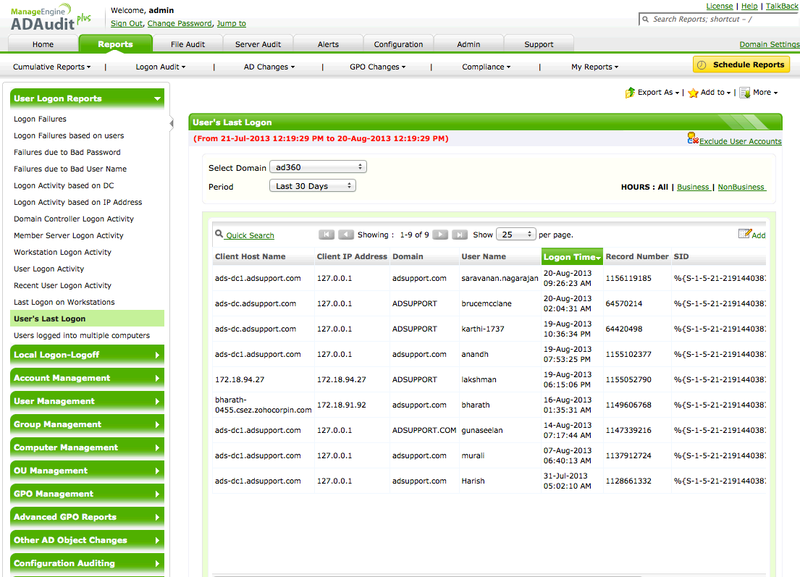 The tool also helped detect login attempts in the system. 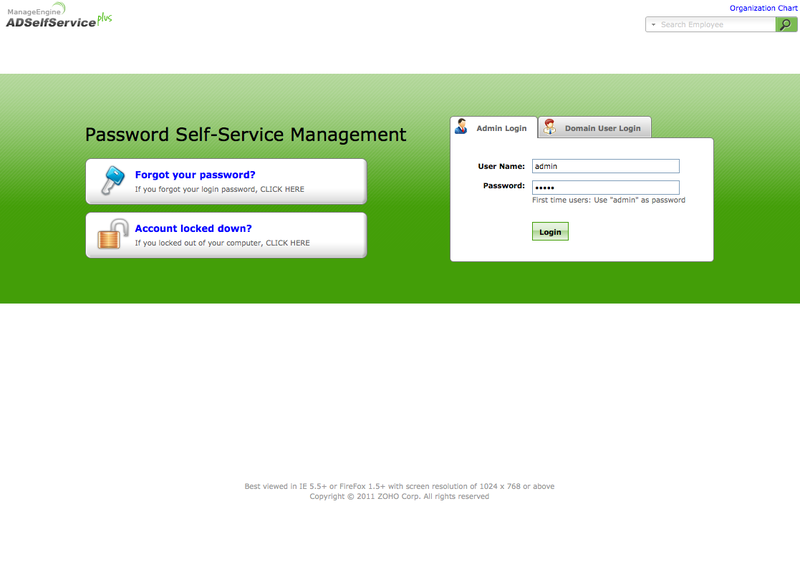 Very quickly, administrators noticed on the main view hundreds of attempts to login to the domain. After having verified the logs it turns out that at the office in one of the districts was trying to log on hundreds of times to one of the domain controllers. This made it possible to detect the virus logging into the account in the domain and isolate specific computers to remove the virus. " Allowing users to independently change their information in AD, resulted in an increase in timeliness by 30% annually. For password management we used ADSelfService Plus, thanks to the Polanized version, which is configured according to the requirements of the Authority, a self-service portal is now available to all domain users. With automatic alert to users about password expiration date and the possibility of self-unlocking the accounts without contacting the specialists, involvement of employees in the IT support for password incidents could be reduced by 40%. A password change that can reflect on computers that are not part of the domain. To send periodic reports of assumed accounts, incorrect logins, etc. Implementation of this solution combined with organizational change definitely improved the quality and efficiency of the work of the Office of Information. The results achieved a level for 20 to 40 percent improvement gave grounds for further development of functional and quantification of the system. Implementation of this solution, combined with an organization level change, definitely improved the quality and efficiency of work. The results achieved a level for 20 to 40 percent improvement, that gave grounds for further functional development of the system. Currently the installation of AD tools, is one of the largest in Europe. ManageEngine offers simple, easy-to-use IT management systems at prices tailored to any size business. More than 50 000 enterprises worldwide use ManageEngine solutions for managing IT infrastructure, including more than 400 in Poland. MWT Solutions sp z o.o. is a supplier and distributor of IT service management, business continuity, risk management and security management. For over 10 years the company has expanded its practice skills in IT management, initially focusing on outsourcing and IT management would consequently become a supplier of solutions in this field.? MWT Solutions customers include companies from many sectors of the economy - in particular the financial sector, energy production facilities and offices of central and local government.